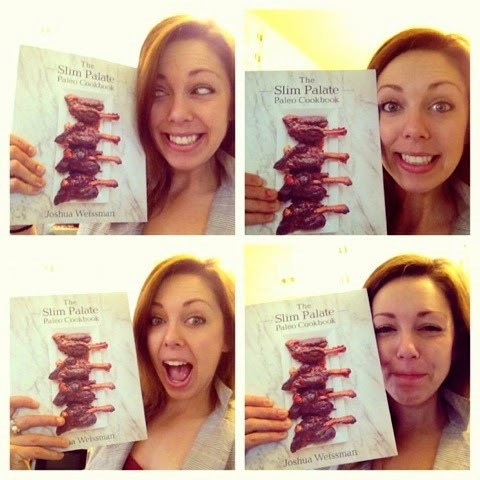 The Slim Palate Paleo Cookbook!! I spent most of last night in the E.R. following a box-jumping accident. Three stitches later, skipping dinner and a horrible night sleep, I was really craving something special this morning. So I knew just where to turn for a great recipe! I had a delicious breakfast. And it was super easy to make! 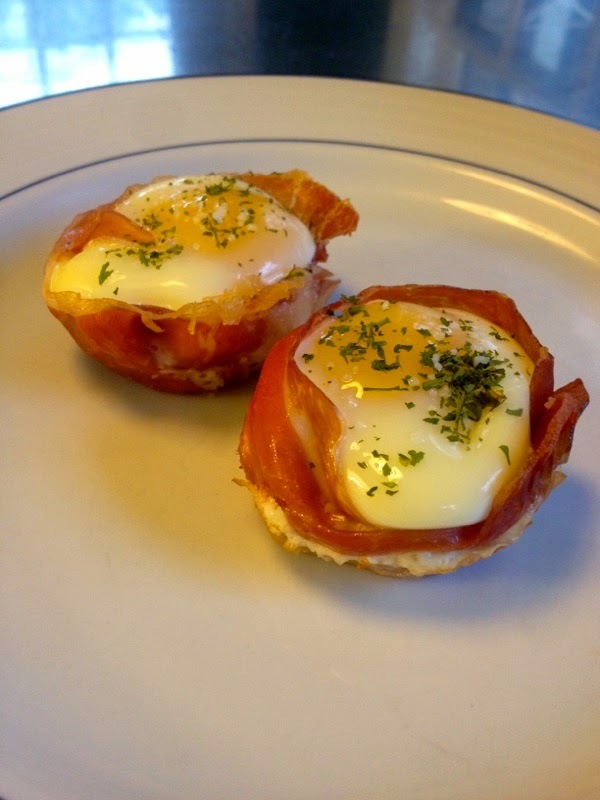 I made the prosciutto cups from The Slim Palate Paleo Cookbook by Josh Weissman. I don't think I've ever been more excited to review a book. And besides mine, to get a book! And now, I get to tell you all about how much I love it AND give one away to you! First of all, we all need to recognize that before we eat, we eat with our eyes. Beautiful food just tastes better. And the photography in this book is so gorgeous, you can almost smell it, too. This cookbook puts you on sensory overload. That being said, the recipes are not difficult to execute at all. The ingredients are clean, simple and easy to find. The instructions are clear and really easy to follow. The recipes are simple, but the completed dishes are dynamic and with complex flavors. I would recommend this book to cooking novices and experts alike! Joshua Weissman. OMG this kid is incredible. He is 18 years old. He wrote this at 17. Like, what?!? Talk about a college resumé builder. Josh is a talented chef, photographer, blogger and is one of the most upstanding young men I have ever met. I had the pleasure of meeting him last year at PaleoFX and getting to know him over the last year. He is a native Texan, too! Josh blogs at Slimpalate.com where he shares his paleo recipes, passion for real food and his story of losing over 100 pounds at just 15 years old. 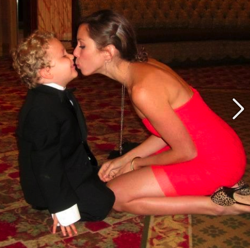 His story is inspiring to people of all ages, but especially compelling to his younger generation. If only I knew what he knew at such a young age! Some of Josh's closest friends are farmers. He inspires his classmates and peers all over the world with his story. And he is the absolute sweetheart of the paleo community. He is an amazing guy. So what have I made? First, I made the osso buco. But then I burned it. Oops. That's what I get when I leave something in the oven and happy hour runs too long. At least my kitchen smelled like burnt heaven when I came home. I'll try that recipe again later. 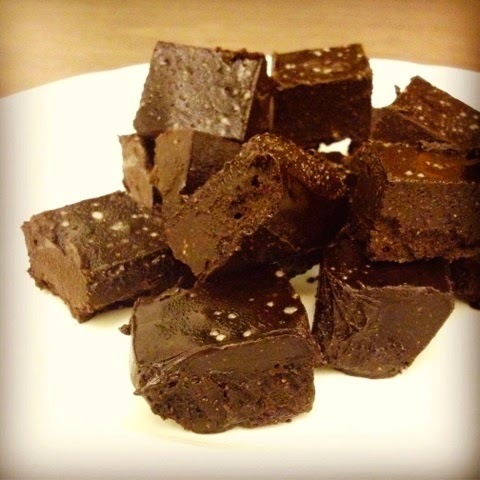 Next, almond butter fudge. Need I saw more? This is what I mean when I say the recipes are simple and the flavors are complex. They took like 3 minutes to whip up! 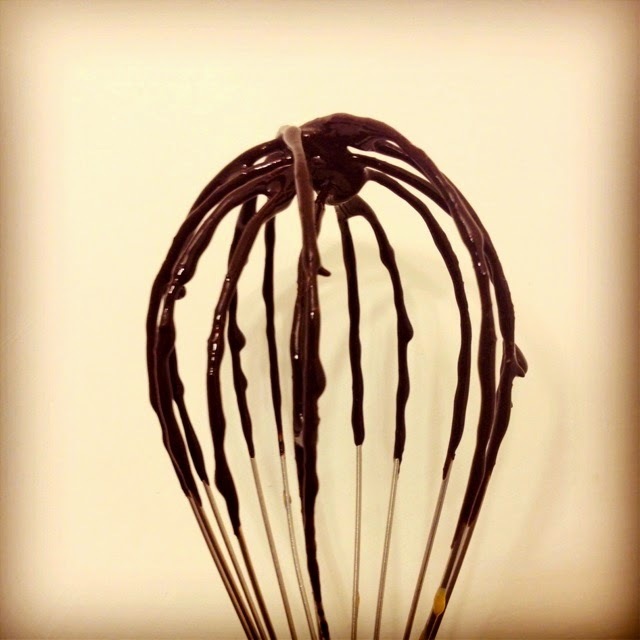 These chocolate nuggets melted in our mouths and satisfied any little sweet craving we had for the week. You should have seen my boys' faces when the fudge was all eaten up. They were so sad. I think I'll make some more tonight. 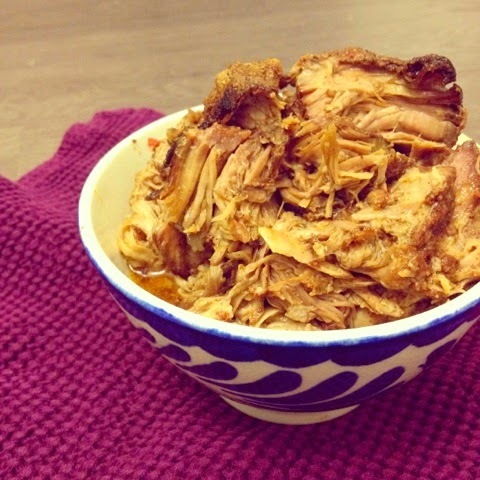 Another easy one: Crockpot Pulled Pork with Spicy Vinegar Sauce. I love pulled anything, but especially pork. This is a great recipe because you can do ANYTHING with the leftovers. I used it for paleo tamale fillings, omelets and stuffed jalapeño poppers. 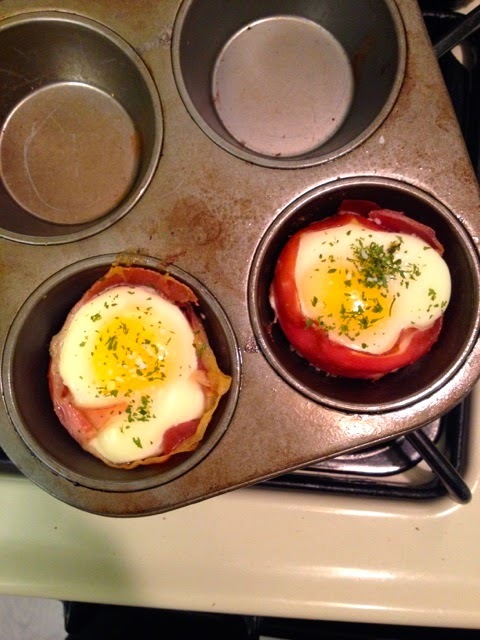 Finally, the Prosciutto Egg Cups! I made these this morning and they took 15 minutes from start to finish. They are easy for a weekday, but so elegant, you could entertain with these for a weekend brunch. Apparently you can store them in the fridge for a few days, but mine are in my belly, so I don't know. Damn, I should have made more. Before I get to the giveaway, I want to mention that Josh will be in Austin this weekend! 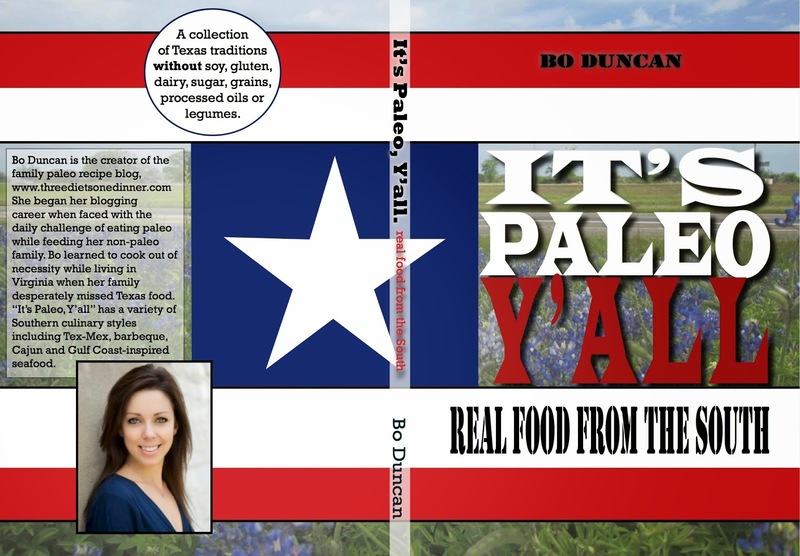 As part of his book tour, he will be stopping at Whole Foods Lamar on Saturday, March 29. He will host demos in the cooking school at 11am and 12pm. If you are in the Austin area, please come by and see him! Hear his amazing story, check out his demo, buy his book and get it signed! 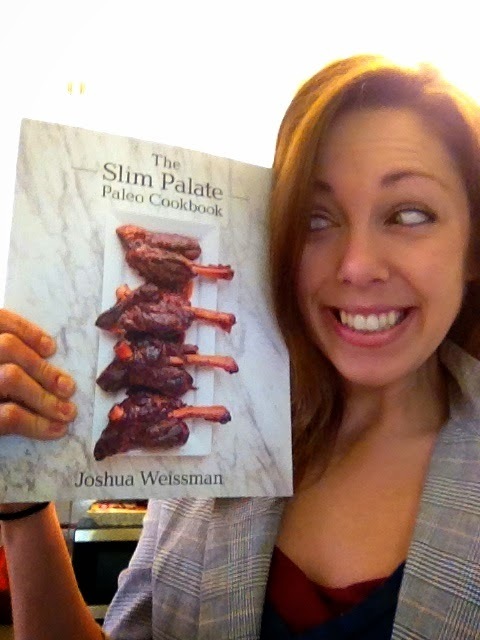 If you want to win the Slim Palate Paleo Cookbook, leave me a comment below with your favorite food at 17 years old and your email address. For my example: Hooter's Hot Wings; brittanie36 (at) gmail (dot) com. I'll pick a winner next week, Thursday, April 3! At 17, I think my favorite food was my mom's lomo saltado. :-) Thanks for the giveaway opportunity! Mexician food, especially Special Quesadillas - deep fried quesadilla.... ugh the thought now! 17 was long ago, but I remember my Dad's Hungarian Golosh! Texadelphia and Jose's dip (queso with ground beef) from Molina's. Still my favorite, secretly. Great post-had to comment. (Your husband). At 17 I was just entering college and I discovered the joy of eating out whenever I wanted! I loved the Peppercorn Burger at Chili's. it's always been tacos! but it is a lot tastier now....better ingredients. Im not 17 yet, (haha) (I love to cook and I love Paleo)! I love seafood and sweets! I'm from South Texas, so at 17, I was binging on Mexican candy (the tamarind and chili powder kind!). I wouldn't surprised if it's burned a hole in a stomach all these years later. gvindell17(at)gmail.com. Freddo Frogs and Humus with veggie sticks got me though my schools final exams at 17! I wish I had his mad cooking skills at that age...or now. At 17, my mom's creation, "birthday pasta." She cooked it every year for my birthday and on special occasions: bow tie pasta with sauteed zucchini and squash, mixed with lemon pepper grilled chicken breast and tossed in olive oil... so good! brit(underscore)laine (at) yahoo (dot) com. I was not very discriminating at 17, probably something fast food...I even liked Spam! diem(underscore)n (at) hotmail (dot) com. Btw, we went and saw Josh in Austin and would love his cookbook! He is truly amazing. Hey Diem! Congrats on winning the cookbook! Thanks for coming out to support Josh. Enjoy the recipes! Thanks Bo! So excited to win.